Olivia Mitchell provides six simple techniques for improving the odds that your audience will remember your key message. Focus your presentation around one key message. Make that key message simple and concrete. Match your key message to a memorable image. Display your key message on a slide and leave it up for a while. Wayne Botha shares four types of speaking you should be doing before your presentation. Just reaching out to other speakers before the event puts you in a class of your own. The atmosphere between speakers who have spoken ahead of time is one of camaraderie instead of professional courtesy on the platform and the audience benefits from all the speakers involved. Gavin Meikle reveals how belly breathing can combat your nervousness. Belly breating is a slow deep breathing techhnique where, when you breath in, your belly expands rather than your chest. Correspondingly, when you breath out, your belly contracts. Laura Bergells declares that we are entering a new era: Post-template PowerPoint Design. With so many options available for great images, you don’t need to rely on a PowerPoint template anymore. […] Back in the early 1990’s, very few people had easy access to compelling digital photography to insert in their PowerPoint presentations. Dave Paradi outlines four steps for helping your sales team deliver better corporate presentations every time. Create a library of standard slides. Train the sales staff on how to use the slide library. Educate the sales staff on how to create visual slides. Evaluate and update the library every four months. John Windsor points out that ending with an “Any Questions?” slide may not be the best way to close your presentation. Rhett Laubach provides techniques (accompanied by sketches) for positioning yourself and your audience to maximize the effectiveness of training. When I attend Toastmasters meetings and conventions, I am always surprised by the many different types of people that have found Toastmasters. 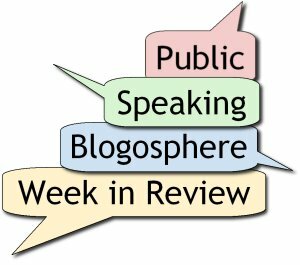 As someone that is working on their public speaking career, I sometimes get so focused on becoming a speaker that I often fail to notice the many other ways that Toastmasters can help people around the world. Craig Strachan reflects on lessons learned from building a story file and working through the Humorously Speaking advanced manual. John Spaith has a suggestion for scheduling software that may be of interest to all those incoming VPs of Education.